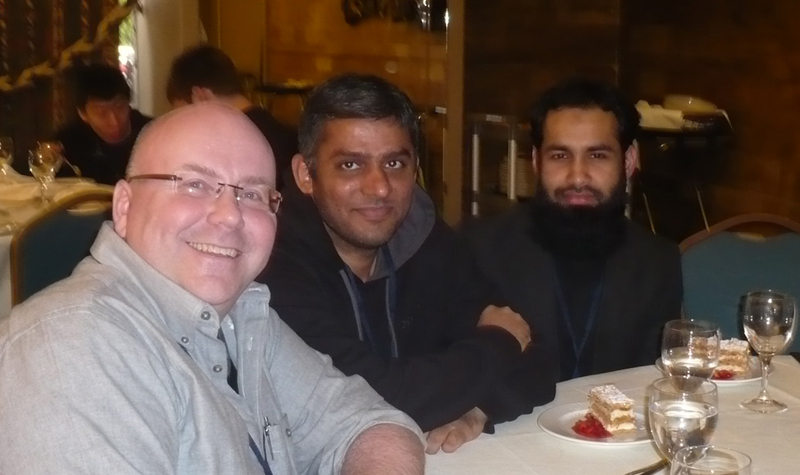 The blogger (left) enjoying his lunch dessert together with Fahad Qureshi (middle), and the ICECS 2010 winner of the “connect-with-Converter-Passion” prize, Syed Ahmed Aamir (right). Photo: Currently unknown (email me). Well, just being able to write “back from ICECS 2010” is a major victory, as the hundreds of scientists trying to come home from Athens may testify. Transportation strikes in Greece combined with unusual amounts of snow and bad weather clogging up several European airports at once, made the trip back home slightly more adventurous than usual. I managed to slip through most of the tight net created by these circumstances, and have realized from watching the news that the few bumps I encountered still left me as one of the lucky guys. Speaking of lucky guys: The clear winner of the “Connect-with-Converter Passion” race this time was Syed Ahmed Aamir, student at Linköping University, Sweden. Although nothing was set in stone, he showed all the signs of a winner already in this comment. Something that may have scared off most of the competition. In order to break the complete Linköping dominance in this race, I’m planning to not consider the local organizers (Linköping University) eligible for the prize if I go to ECCTD 2011. Either way, Aamir came to Athens to present his own paper “A 1.2-V Pseudo-Differential OTA with Common-Mode Feedforward in 65-nm CMOS”, and a paper by Armin Jalili Sebardan et. 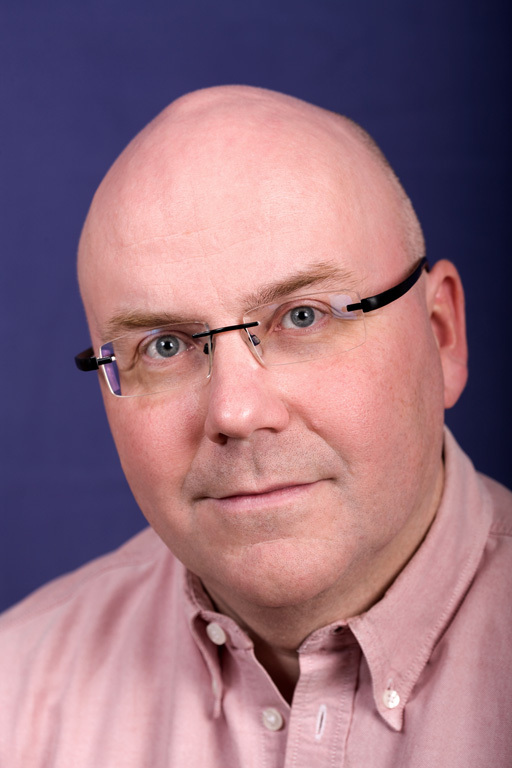 al – also from Linköping – entitled “Calibration of High-Resolution Flash ADCs Based on Histogram Test Methods”. Their colleague, Fahad Qureshi, presented the paper “Alternatives For Low-Complexity Complex Rotators”. Skyler is obviously a man with a big heart and lots of patience. View from the Chair: The five authors preparing for the session. “Column Parallel Single-Slope ADC with Time to Digital Converter for CMOS Imager”, presented by Muung Shin from Hokkaido University, Japan. “A Digital Processor for Full Calibration of Pipelined ADCs”, presented by Dr. Javad Frounchi from University of Tabriz, Iran. “Comparison of DEM and BEET Linearization Techniques for Flash Analog-to-Digital Converters Using a SFDR Metric”, presented by Christopher D. McGuinness from University of Dayton Research Institute. “An Ultra Low Power 9-bit 1MS/s Pipelined SAR ADC for Bio-medical Applications”, presented by Guohe Yin from University of Macau, China. “Mismatch Aware Power and Area Optimization of Successive-Approximation ADCs”, presented by Jia Mao from Royal Institute of Technology, Stockholm, Sweden. Enjoy the output of your own research field: Nifty proceedings and gadgets. I know it’s probably getting commonplace by now, but I still can’t help but liking the design and implementation of conference proceedings also this time: A pen, laser pointer and USB memory all in one. Very practical indeed, and I’m still dwelling on the fact that with proceedings like these we’re reaping the benefits of our own research in microelectronics. Some of you have been mentioned above, but I met many other delegates that in one way or another made ICECS 2010 a memorable event. Thank you all for novel ideas, a kind smile, a good chat during coffee breaks, and for nice company at the tables. You know who you are. Makes yourselves known to the world by posting a greeting below. Also, if you have anything you want to ask about my paper “A Survey of A/D-Converter Performance Evolution”, or want to add anything to what I’ve written above, feel free to do so in your comments. Finally, I haven’t decided yet what conference(s) to go to next – in case you’re wondering about the next opportunity to win the connect-with-CP prize. Both ECCTD 2011 and the 2011 IMEKO IWADC & IEEE ADC Forum have showed up on my radar looking good. Why not check them out? 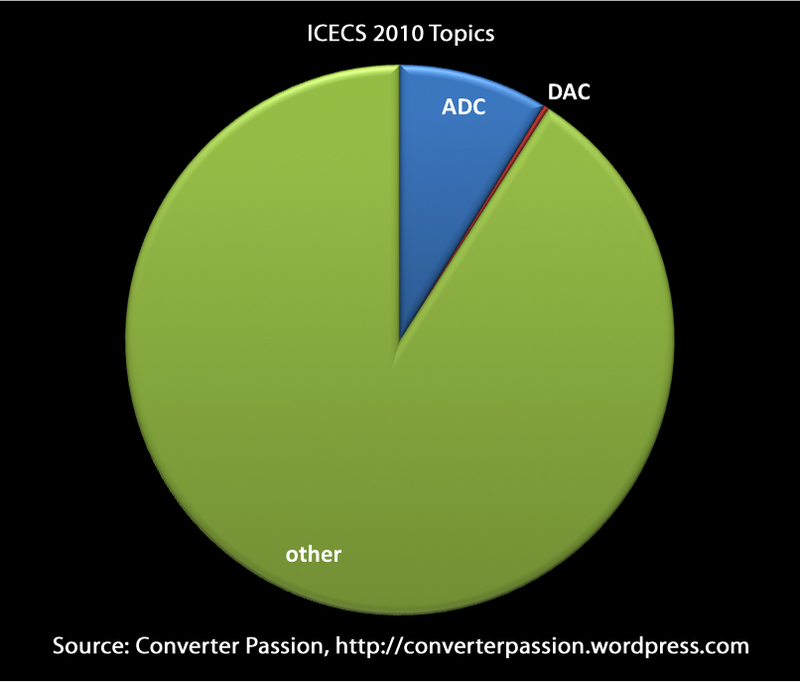 Approximate distribution of topics among ICECS 2010 conference contributions. Whether you haven’t yet decided if you should go to ICECS 2010 or not, or you are simply getting hungry for some pie (Converter Passion style … ), this post may be for you. In case it helps for any of the above, I took a quick look in the ICECS 2010 technical program to see how well your data-converter passion will be served at the conference. Since the number of papers (308) is much larger than for NORCHIP, I decided to reduce my survey to only ADC and DAC contributions, and not be as thorough as I was when doing the same for NORCHIP. My short investigation of the program revealed that, out of the 308 papers, 27 (8.8%) were ADC-related, and only one (!) about DACs. I’m certainly curious to hear what my friend and trusted DAC expert Dr. J Jacob Wikner has to say about that. Because if “ADC research in Europe is about to die“, what does this meagre paper count say about DAC research? Is there nothing more to research on DACs? Was this a one-off? 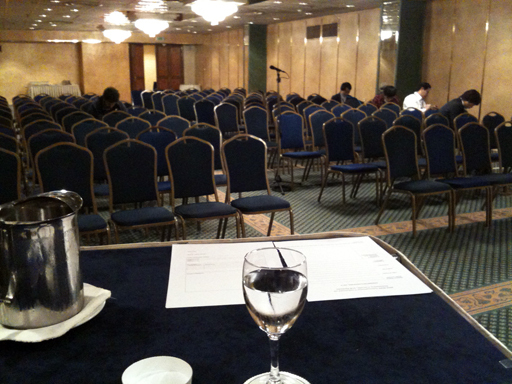 Are DAC professionals more keen to publish at other conferences? What’s your view? Not just Jacob – I’m asking all of you readers. BTW: The pie is served at the top, and don’t forget to say hello while at the conference. Anyone going to ICECS 2010? I guess it will be inevitable to keep asking my blog readers if you are also going to the conferences I plan to attend, now that I started to do so with NORCHIP. 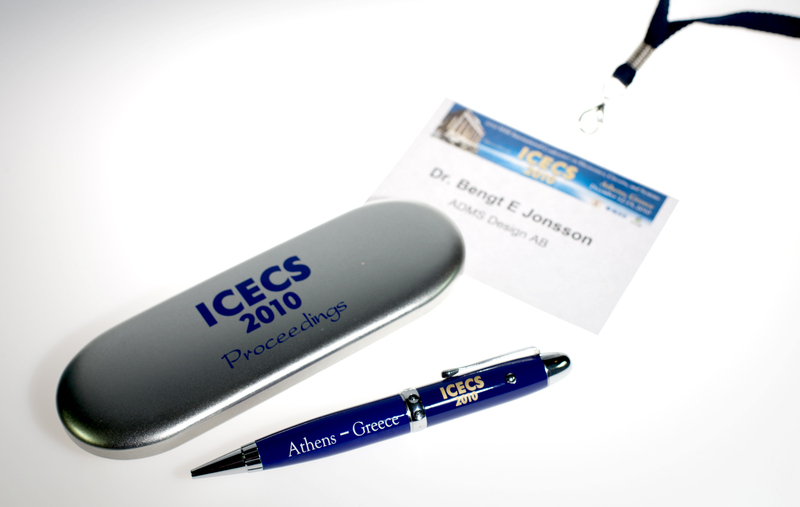 If you’re going to ICECS 2010 in Athens next week, you’re most welcome to connect. As you can see from my NORCHIP travel report it can pay great dividends to respond to the invitation to connect while at the conference. That is, if you’d consider it a ‘great dividend’ to have your name and picture or at least your paper title and name appearing on this blog. Nadeem Afzal and M. Reza Sadeghifar were the clear winners of the connect-with-Converter-Passion race at the NORCHIP conference, and thus got themselves a slightly raised web presence, for whatever that might be worth. All you’ve got to do to have a chance in Athens, is to look for the same face this time. Come and say hello, tell me about your work, what you think about the conference, Greece, the welcome reception or A/D- or D/A-converter research in general, … something like that. Actually it takes much less effort than so – it’s enough to just say hello. You need to be aware that the Linköping University students are all serious about this, and I have good reason to believe that a third student under Dr. J Jacob Wikner’s supervision will make an attempt for the ‘prize’ in Athens. So don’t idle about and let Linköping get all the glory. If you haven’t found me earlier, the safest bets this time is during the T4L-B Mixed-signal circuits session on Tuesday afternoon, where I will present my contribution “A Survey of A/D-Converter Performance Evolution” , or the Wednesday morning session W1L-B Analog-to-Digital Converters II which I will be chairing. Now, if you are serious about ADC technology you really do not want to miss my survey presentation. I will show the performance evolution over time for A/D-converters extracted from a massive study of well over 1400 scientific papers, from the very first monolithic implementations reported in 1974 all through to March 2010. That’s close to every single paper ever published in the IEEE journals and conferences central to the ADC field. All for you! Past and present ADC trends will be analyzed, and I’ll even venture to predict ADC performance evolution for the next ten years until 2020. If you aren’t coming to ICECS 2010, you should definitely keep an eye out for this paper as it will appear at IEEE Xplore some time after the conference. See you all in Athens! 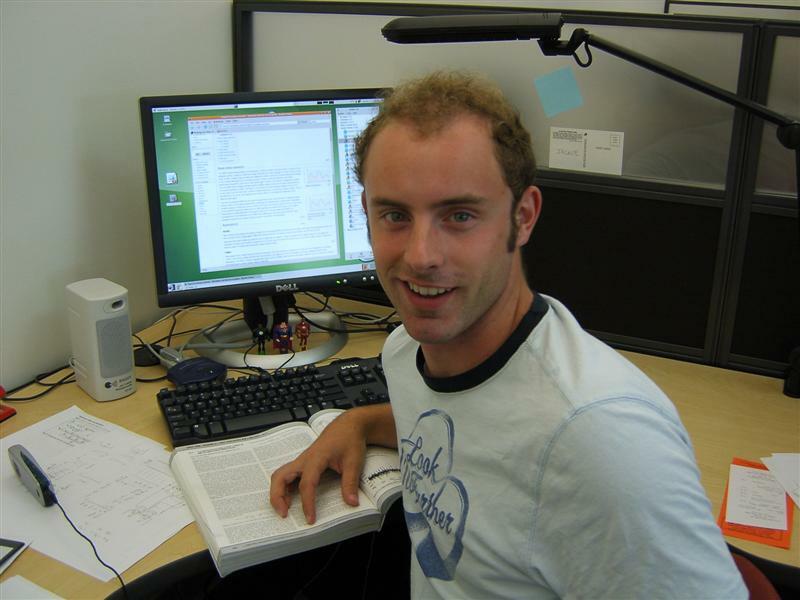 B. E. Jonsson, “A survey of A/D-converter performance evolution”, accepted for presentation, IEEE Int. Conf. Electronics Circ. Syst. (ICECS), Athens, Greece, Dec., 2010.